Students need to have 9 credits minimum in English. Students have to take Freshmen Reading, English 9, English 10, English 11, and a Writing Class. 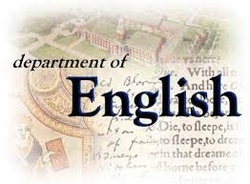 English 9, English 10, English 11, Speech 101, Cont. Lit, College Prep Lit, Individual Reading, Freshmen Reading, English 105, English 106, Senior Writing, Yearbook 101, Yearbook 102, and Lit to Film.